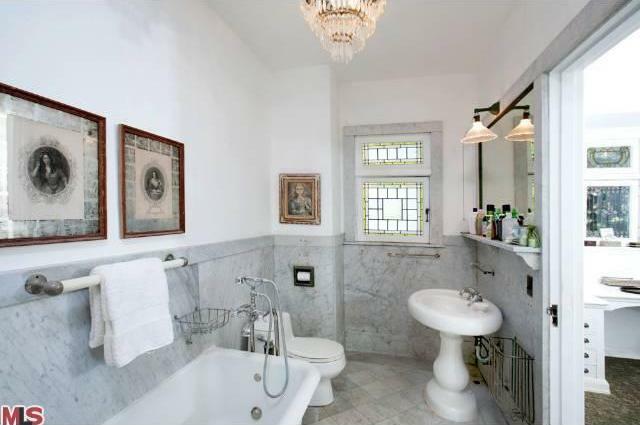 Recently, Curbed LA broke the news that one of the grande dames of Los Angeles mansions has returned to the market, this time at the asking price of $4,500,000. The magnificent home sited on a sloping tree-studded 3/4 acre lot at 1120 Westchester Place in Country Club Park was designed by the brilliant Alfred F. Rosenheim in 1908 to serve as his own personal residence. 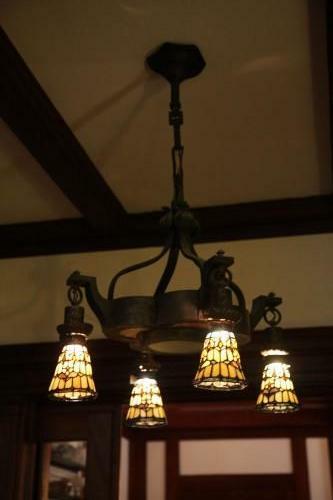 One of the things that makes this home so special is just how many original features it has managed to retain through the years in such elements as its doors, windows, lighting fixtures and bathrooms and the magnificent woodwork, which is one of the hallmarks of the elegant interior, has not suffered from being painted “Navajo White” or any other color for that matter. 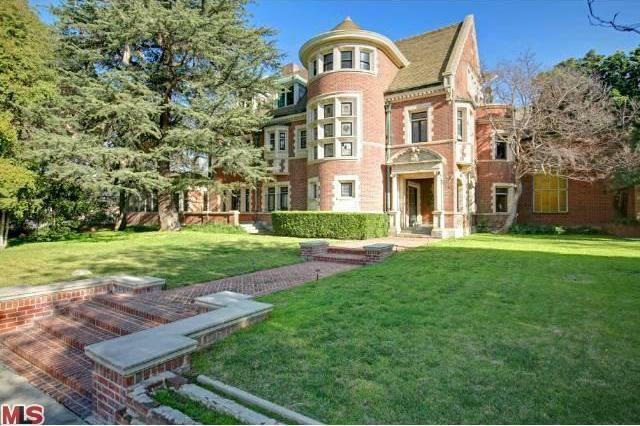 It is indeed a very rare property and in 1999 was deservedly declared Historic and Cultural Landmark #660 by the City of Los Angeles. One of the most highly regarded architects in Los Angeles in the first decades of the Twentieth Century, Alfred Faist Rosenheim opened his practice in the city after years as a successful designer of residential and commercial structures in St. Louis, Missouri. Quickly making a name for himself as a talented and innovative designer, Rosenheim was awarded the honor of designing the H.W. Hellman Building (1903) at Spring and 4th Streets (now the Hellman Lofts), the city’s first ten-story structure. From there, his practice expanded rapidly and over the succeeding decades he designed a wide variety of structures ranging from office blocks, theaters, a brewery, studio buildings, several piers, as well as a number of elegant homes throughout Southern California. Some noteworthy commissions included Hamburger’s Department Store (1907) at 801-829 South Broadway and the Sunset Inn (1911) in Santa Monica, one of the major nightspots for early Hollywood stars. Rosenheim’s elaborate $210,000 glass conservancy and palm house for the Doheny residence was much commented upon and his design for the 2nd Church of Christ Scientist (1905-10) at 948 West Adams Boulevard won him a local AIA Honor Award. 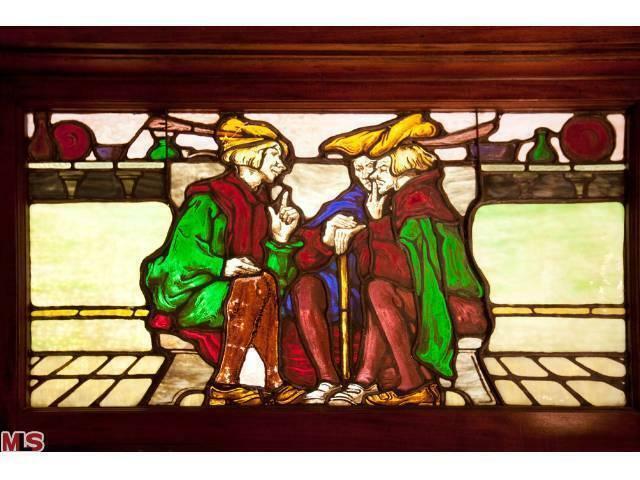 In 1908, Rosenheim, who was at the time, the president of the Southern California Chapter of the AIA, designed a home for himself and his family that would become one of the crowning estates in the prestigious Country Club Park district. In the design of his own home, Rosenheim lavished extra care and attention, creating an impressive residence in decorative brickwork and cut stone. 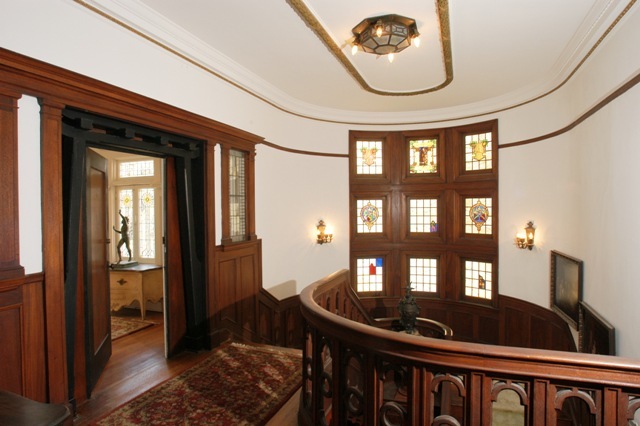 Rising three stories in height from its knolltop setting, the home’s most distinctive exterior feature was a bowed and turreted stair hall lighted by nine panels of Tiffany stained glass, each in a different design. 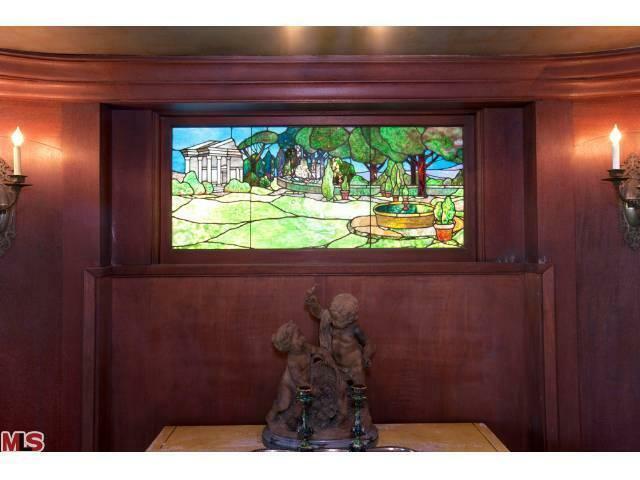 Rosenheim made generous use of art glass throughout his new mansion in both windows and lighting fixtures, which were brilliantly set off against the rich mahogany and other hardwoods used throughout the home. 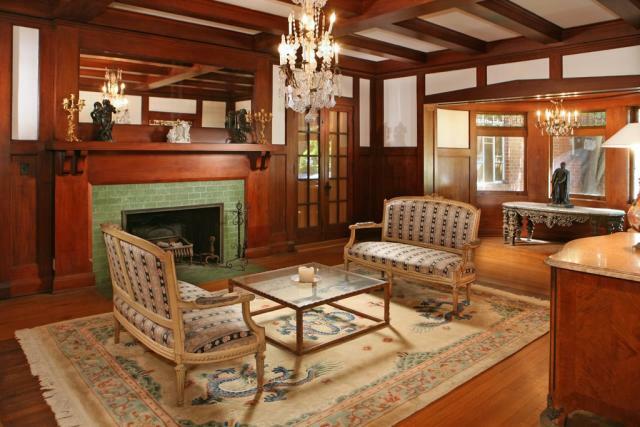 The oversized living room, adorned with tapestries, featured a cross-beamed ceiling and an impressive tile fireplace, one of six in the home, while the dining room was highlighted by a stunning gold leaf ceiling in antique Japanese motif with delicate peacocks and flowers, paneled walls and leaded glass cabinets. 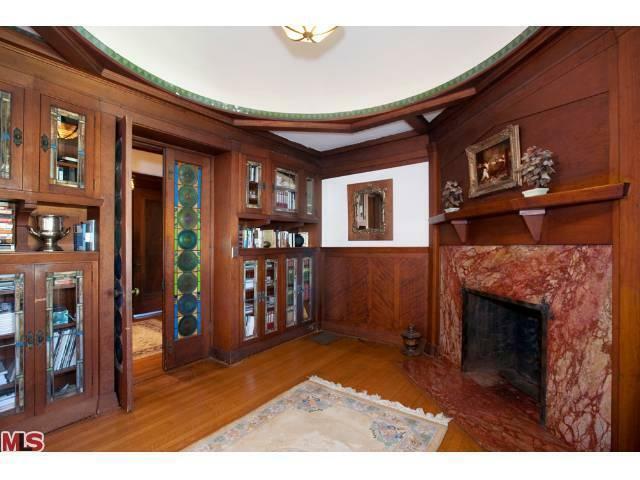 Other features of the first level included a dramatic semi-circular library with pink marble fireplace and built-in leaded and art glass book cases as well as a sunny solarium. 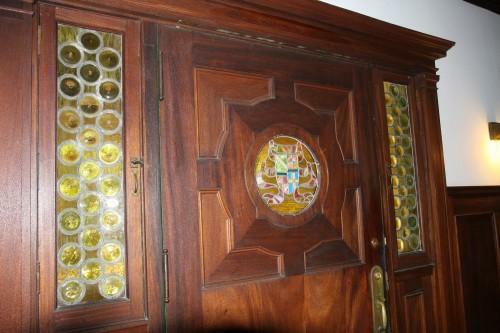 Note the incredible Art Glass doors. A portion of the somewhat overgrown grounds. 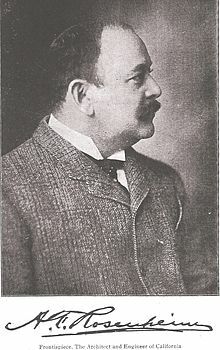 Alfred Rosenheim and his family resided in their showplace mansion on Westchester Place for ten years until they sold it in 1918 to colorful mining magnate A.J. McQuatters, president of the Alvarado Mining and Milling Company of Parral, Chihuahua, Mexico, who wanted it to serve as a winter residence and an escape hatch from the continuous turmoil of revolution down south of the border. 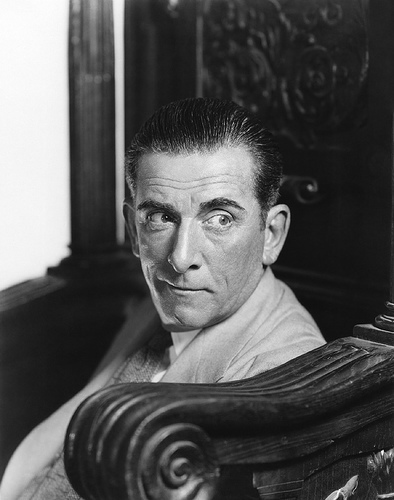 Around 1930, the estate picked up some Hollywood pedigree when it was leased by actor Edward Everett Horton. 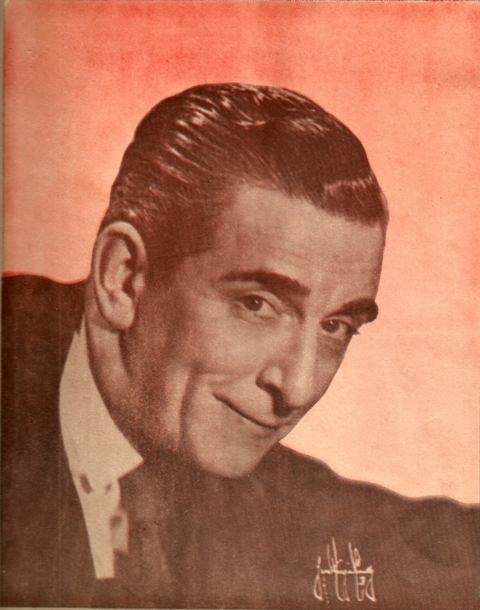 One of the most popular and prolific character performers of his day, Horton was constantly in demand for his masterful portrayals of the kind of fussy, overwrought, “nervous” types that were a staple of film comedy throughout the 1930’s and 1940’s. In choosing Country Club Park as a place of residence, Horton joined a stellar list of other major Hollywood figures such as Colleen Moore, Buster Keaton, Hal Roach and Ruth Roland, who all lived in the district at one time or another. The Westchester Place house served as the actor’s city residence while he was working at the studios. In his off times, Horton liked to stay at his country estate in the then-remote area of Encino in the San Fernando Valley. 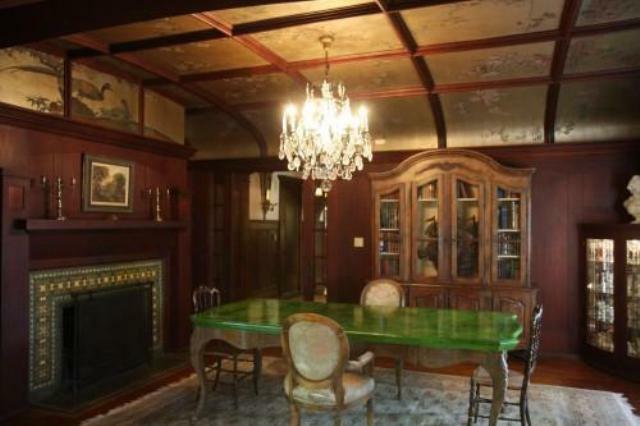 The country home, whimsically dubbed “Belleigh Acres,” was built on a six-acre parcel at 5521 Amestoy Avenue and would remain the actor’s principal residence for the next three decades until it was demolished during construction of the Ventura Freeway. By 1932, Horton had given up his lease on the Westchester Place mansion and the home was taken over by the Sisters of Social Service who began operating it as a convent. In 1946 they expanded their operations to include the adjacent Judson C. Rives mansion at 1130 Westchester Place, which had also been designed by Rosenheim. During their long tenure at the combined properties the Sisters had added a large chapel on the grounds in a style that was intended to blend in with the earlier structures. Completed in 1954, the chapel featured similarly colored brick walls and a heavy beamed ceiling soaring over the double-height space. 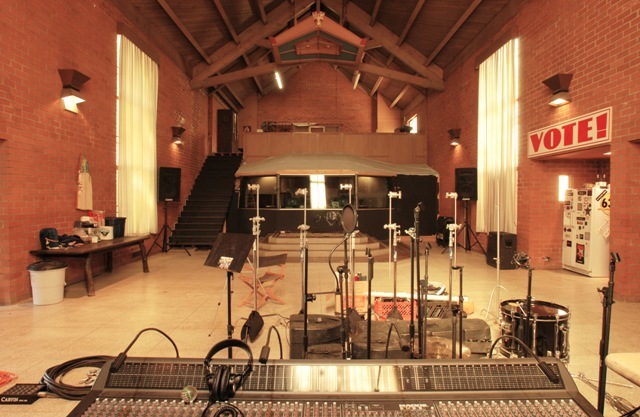 In recent years, this grand space has been utilized in a much more secular fashion as a recording studio for Planet Earth Records and today it offers a wide variety of options for adaptive reuse. 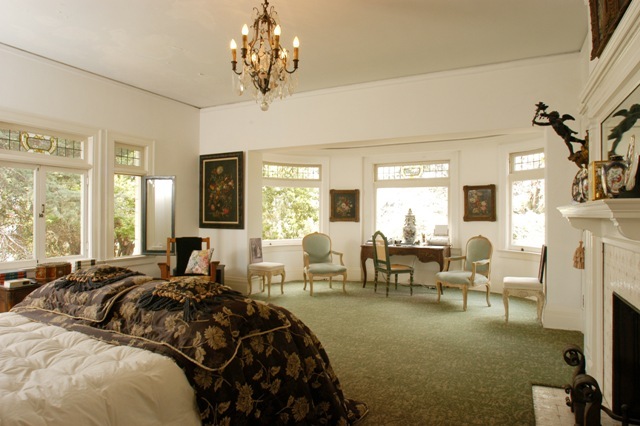 The Rosenheim mansion has its own website, which includes information about the house and some of its history as well as claiming the house has been used as a location for various films and television shows through the years. According to the site, “Old Blue Eyes’, starring Frank Sinatra, was filmed here in the 50’s.” Although there doesn’t appear to be any such animal, there is little doubt the Rosenheim mansion has been, and continues to be the setting for many film, television and photography shoots, a fact, which the site points out, can range from $200-350K in rental income annually. That interesting point, combined with the home’s Mills Act tax advantages, certainly helps to sweeten the pot for the well-heeled investor who might be hesitating to take on such a high-end a property so far from the Westside. 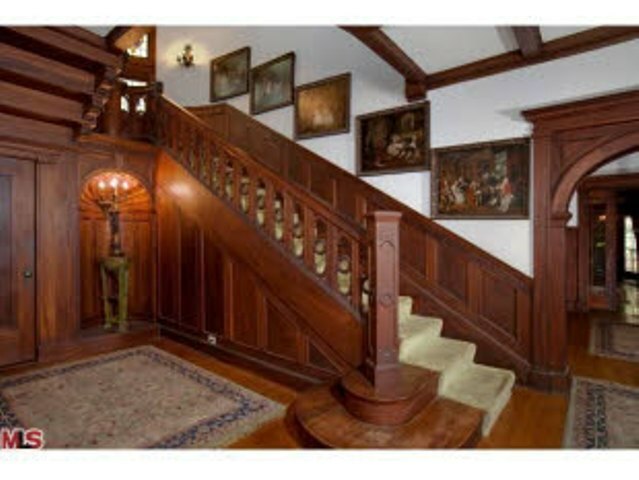 The Rosenheim Mansion is truly a rare gem, a beautiful survivor from an era of incomparable craftsmanship and skillful design no longer possible to re-create and it is hoped its new owner, who ever they may be, will continue to preserve and protect its legacy for future Angelenos to enjoy. 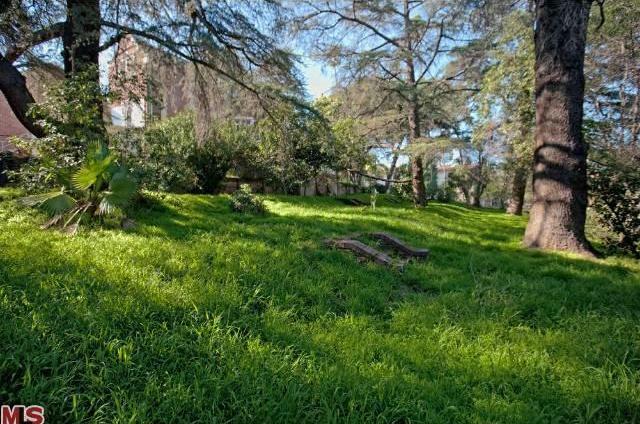 This entry was posted in Country Club Park, Paradise For Sale or Lease and tagged Alfred F. Rosenheim, Country Club Park, Edward Everett Horton, Los Angeles Country Club, Westchester Place. Bookmark the permalink. This house is absolutely breath taking. I’m in love with it! 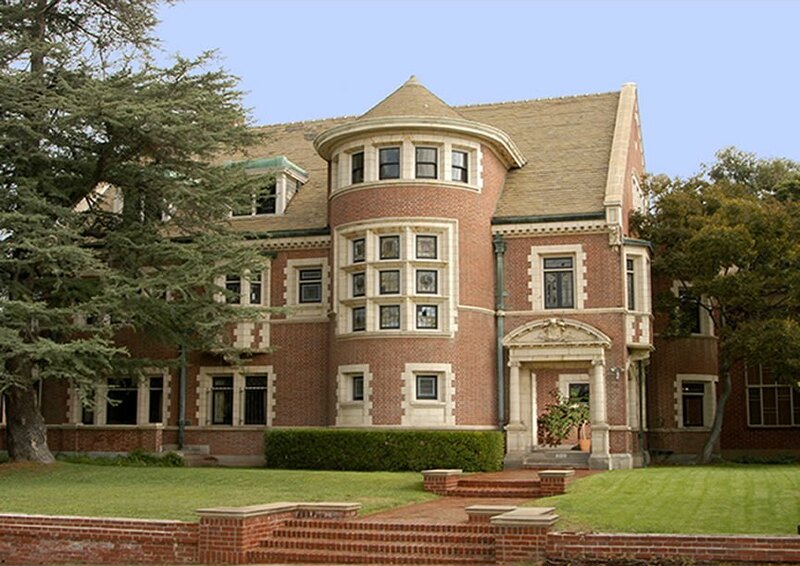 My boyfriend is wondering that if we buy the house, does it come with the rubber suit from AHS??? I hope I can get this house when I have 4.5 million!